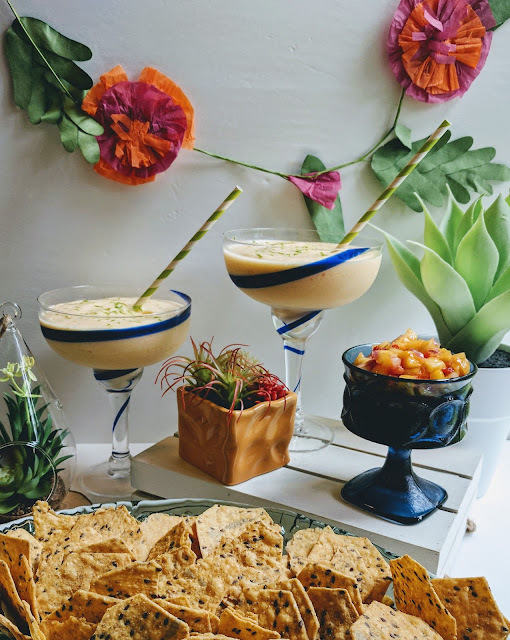 Celebrating Cinco de Mayo for us is the best excuse to indulge in our favorite Mexican food and drinks. 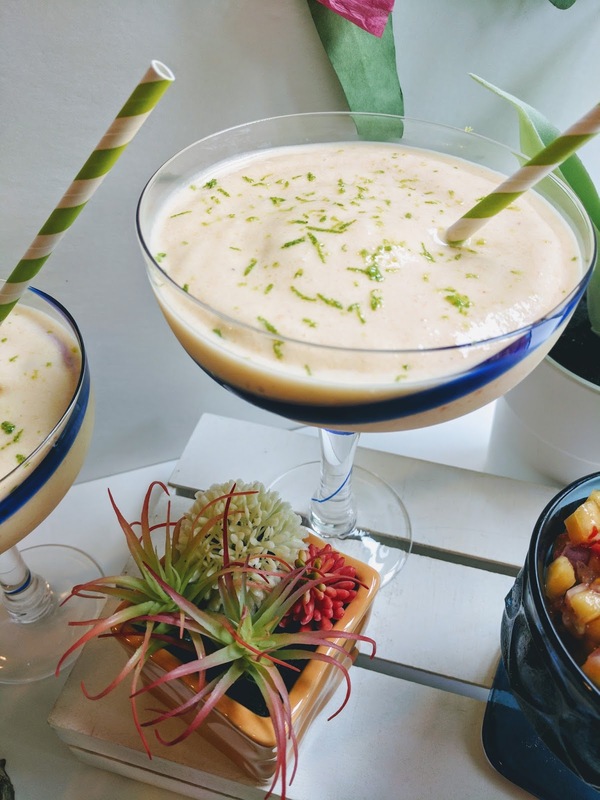 I have a fun smoothie drink inspired by the most delicious Orange-Mango Margarita I had recently. 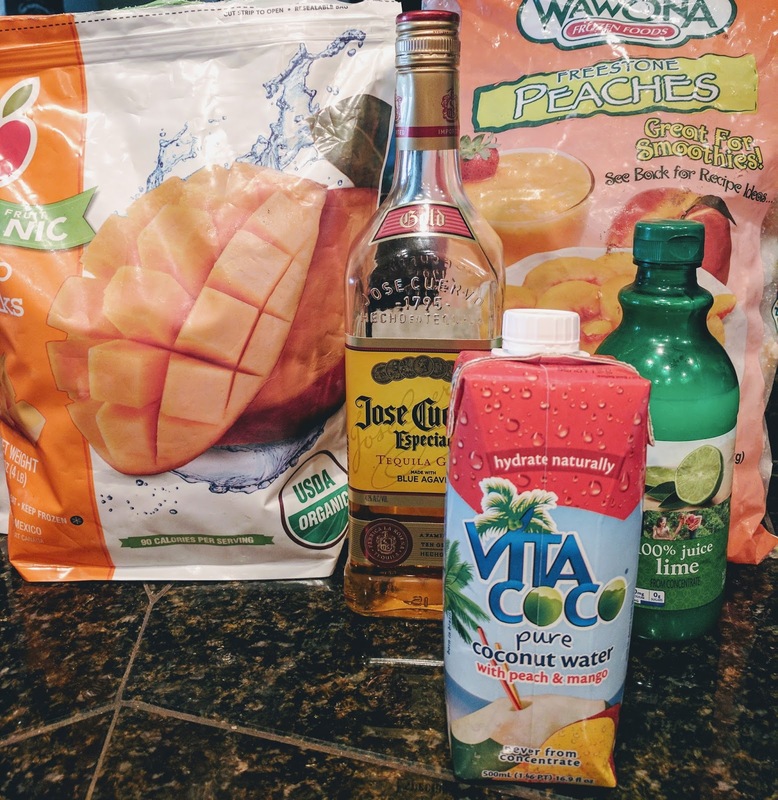 I love mangos, and in a frozen drink they are perfection! 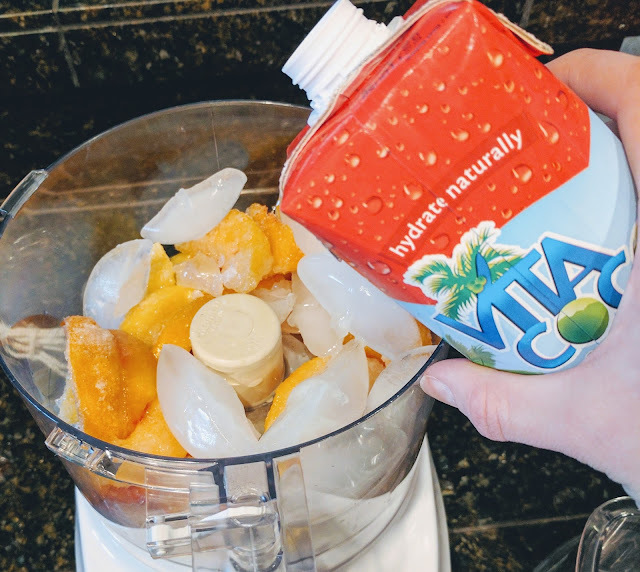 I found this awesome Vita Coconut water with mango and peach, perfect for my Peach-Mango Smoothie. The best thing about this drink is that it is so versatile, you can change up the fruits to what you like, you can make it adult friendly by adding a bit of tequila or leave it out for the kiddos! 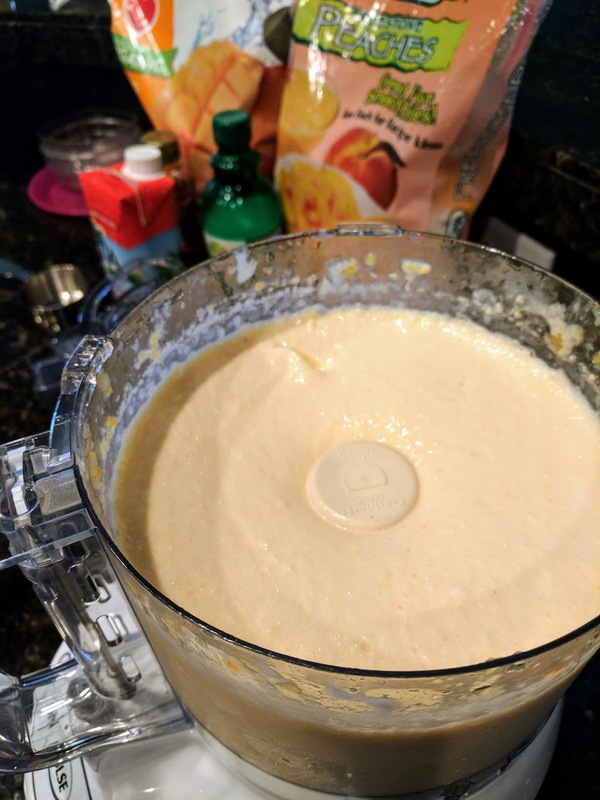 I added equal parts frozen mango and peach slices to my blender (technically food processor, but hey it works). 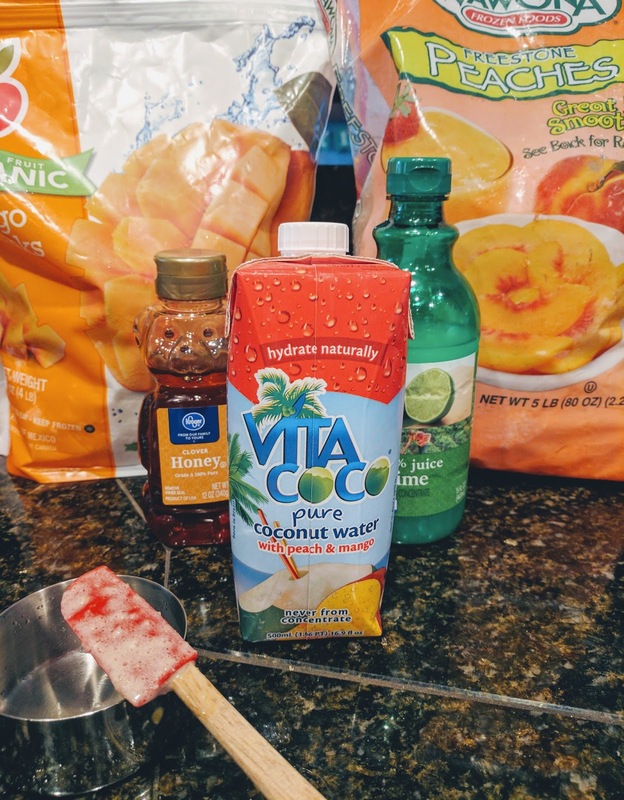 Added the ice, Vita water, lime juice, honey and blended until the large chunks broke up a bit. 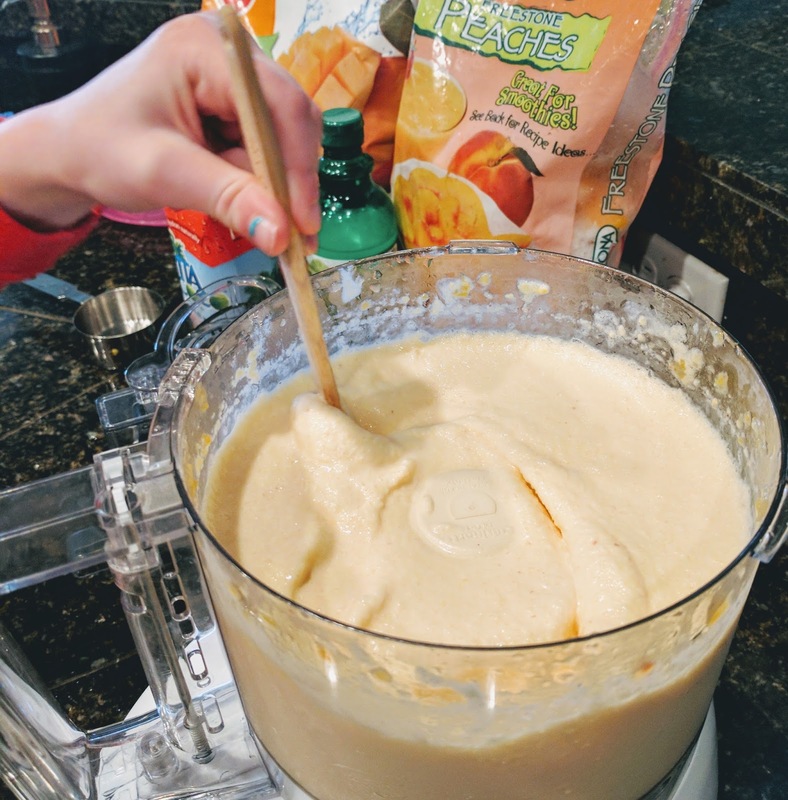 I gradually added small amounts of the water and a bit of milk (because I like my smoothies a bit creamy) and continued to blend thoroughly. At this point, taste test and see if it is sweet enough for you, add as much honey as you would like, mine was purely based on taste. Make sure to get those little hands in there to help! I usually run a small spoon around the edges to make sure all the big chunks are gone. I believe a better option for a blender would help this process, but sometimes you just use what you got! Once smooth, pour into your desired glass. Top with lime zest and a fun straw! 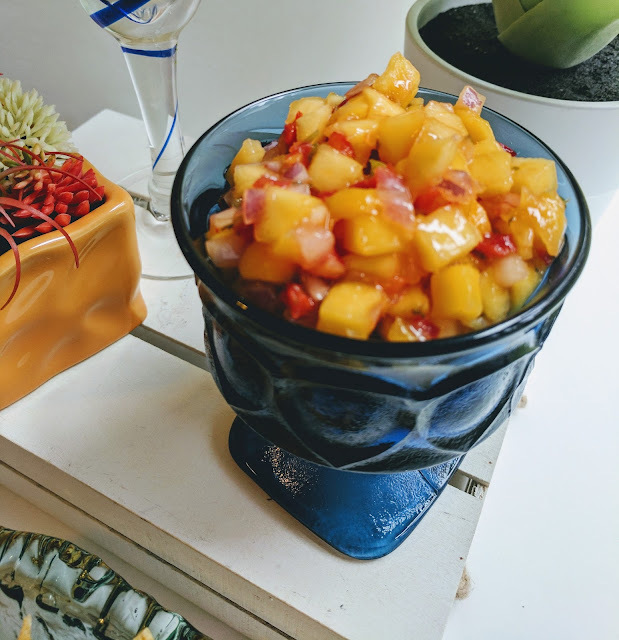 For the alcoholic version, I took a couple cap fulls of tequila and drizzled all over the top. It was delicious! 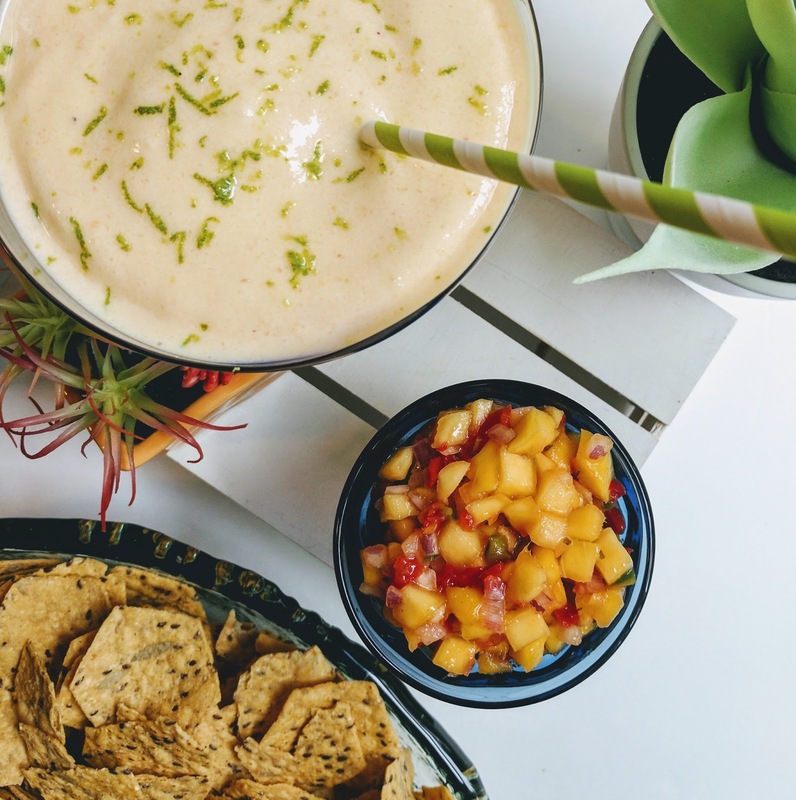 With a delicious drink in hand you can now start this celebration, pair with your favorite mango-salsa and chips. 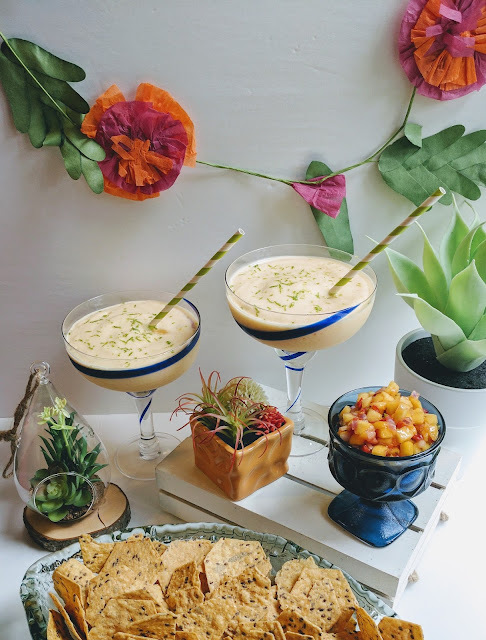 The perfect appetizer pairing for your pre-taco feast! Now I am craving a drink and some Mexican food...Enjoy! 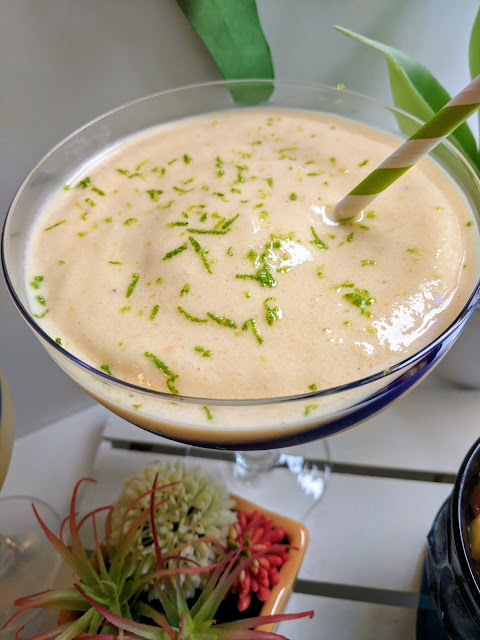 Lime zest and as much tequila as your heart desires! It looks so good! My husband loves mango and coconut water. I love the blue on your margarita glasses! These glasses are old favorites from Pier 1. Sounds so yum, a must try! Sounds so yum! A Must try!